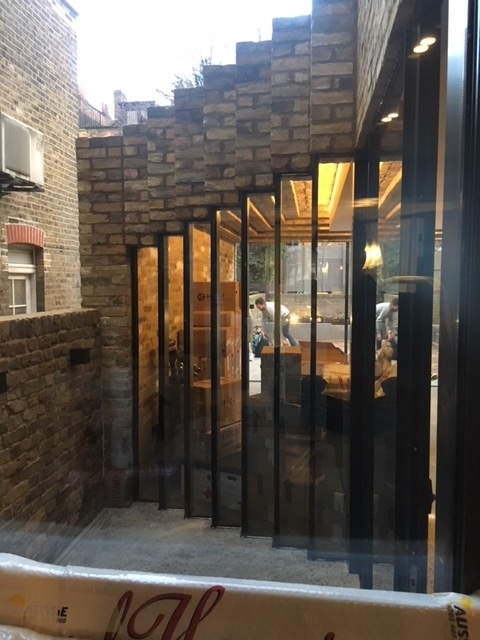 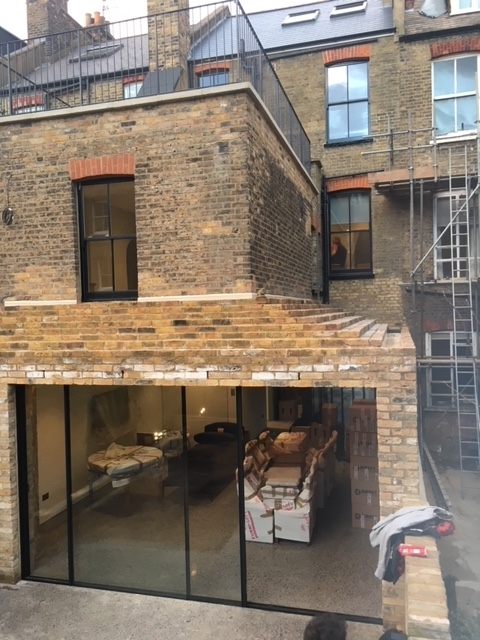 A pleasing selection of hand cut and extruded brick slips in various formats along with brick slip tracking panels and associated accessories to aid installation. 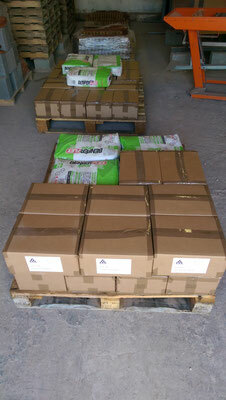 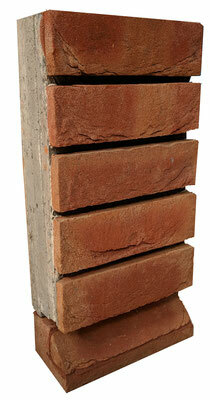 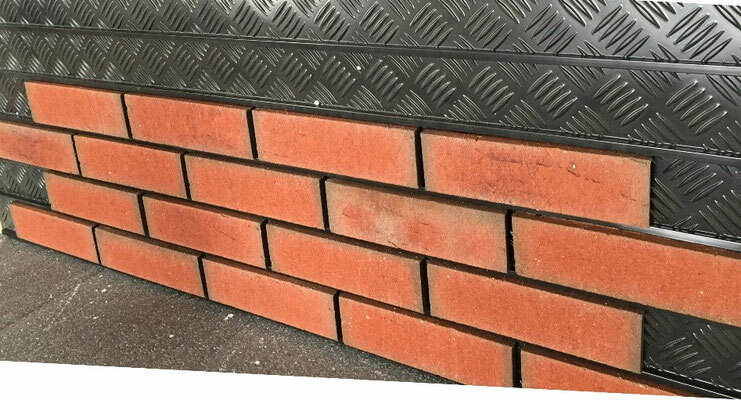 Offering everything you need for your external brick cladding or brick feature wall installation. 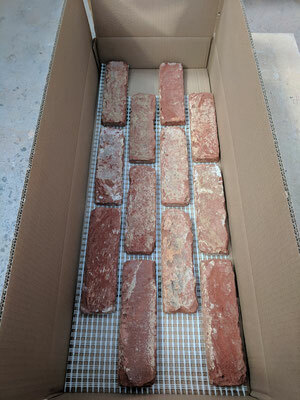 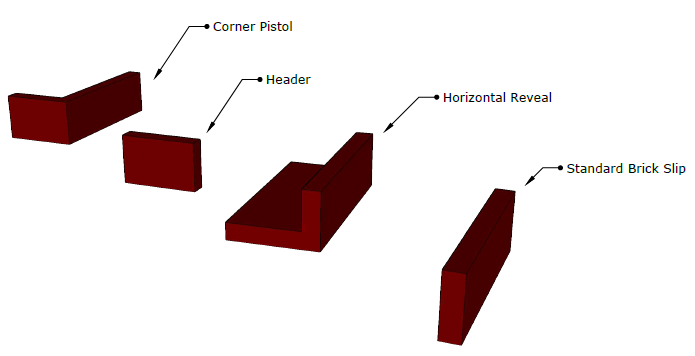 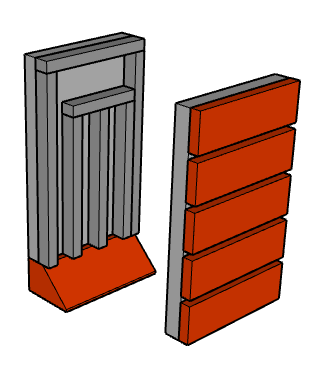 To simplify the installation of your brick slip project. 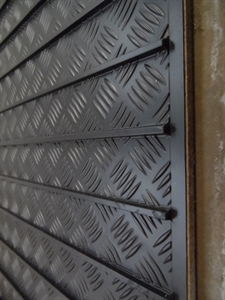 Insulated or cement board based tracking panels and non insulated tracking sheets available depending upon your project needs. 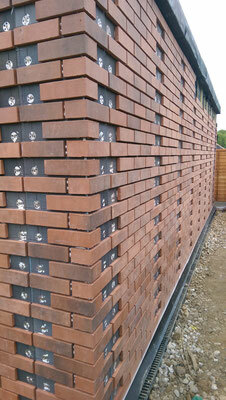 Technical advice available on installation, choice of fixings, adhesive and mortar selection. 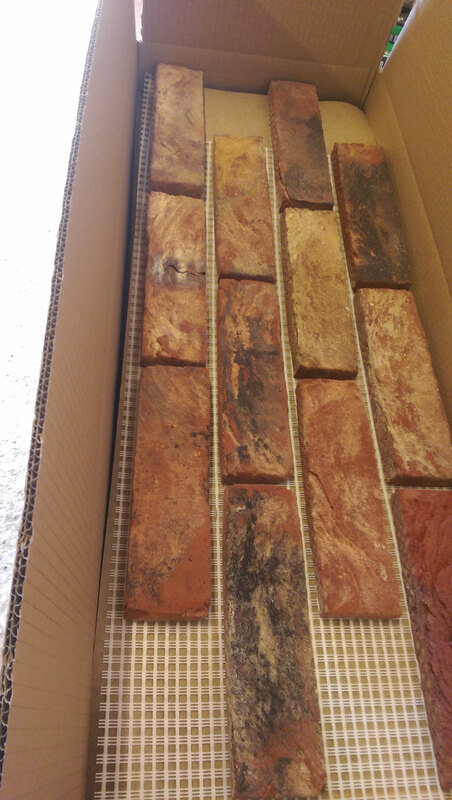 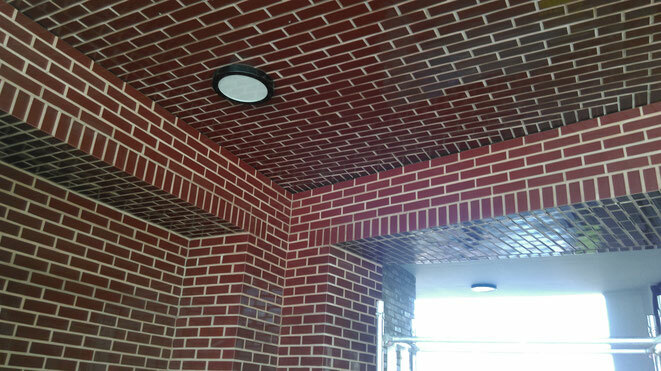 Pre-fabricated brick slip cladding panels in brick types matching your project needs. 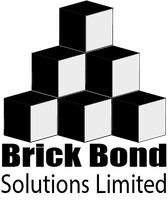 BrickCloak offers a range of brick panel configurations each produced on a rigid light weight backing panel with integrated fixing points. 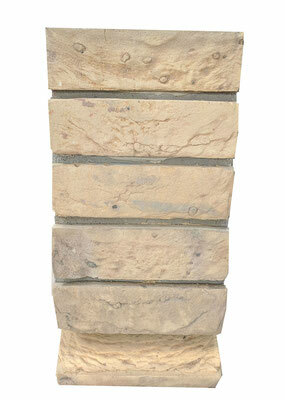 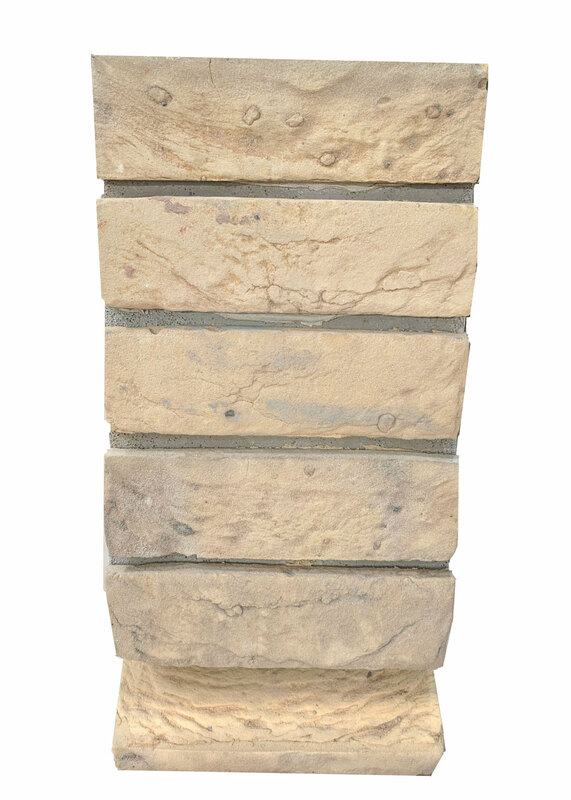 Mainly adopted on external projects but also ideal to speed up installation of internal brick feature walls or soffits. 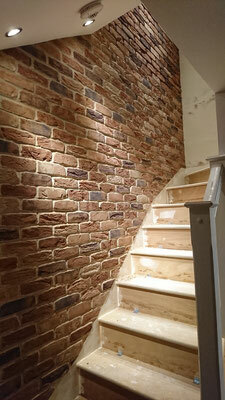 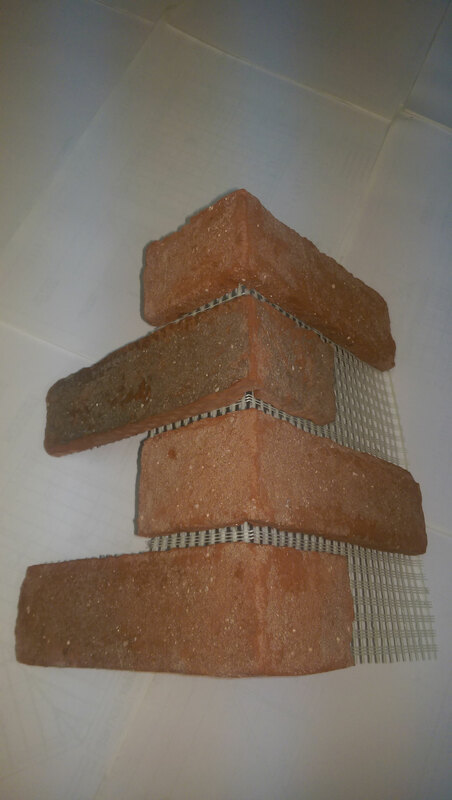 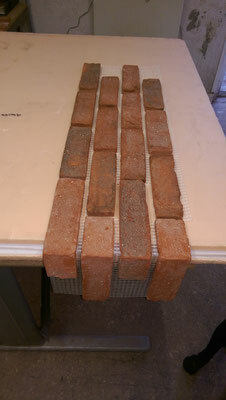 BrickMesh is a quick and simple way to install a facing brick feature wall using real full size brick slips. 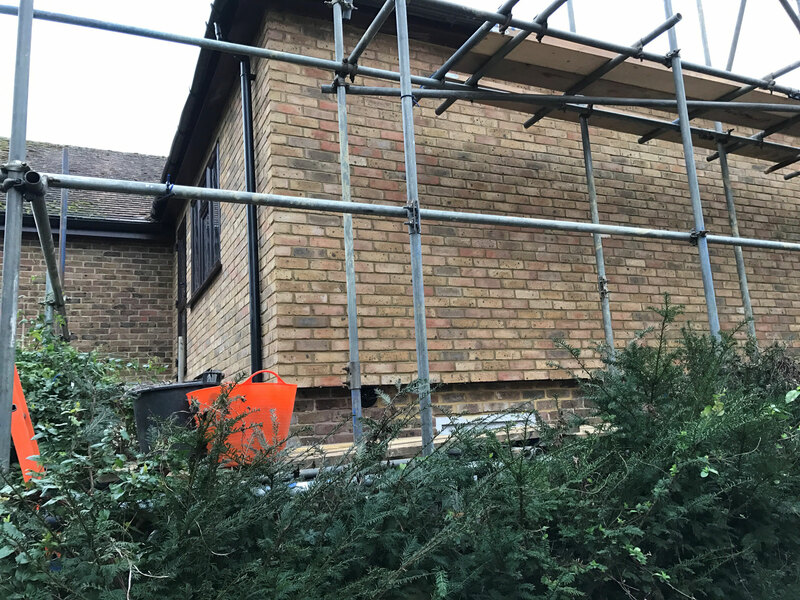 No need for fiddly spacers and painstaking alignment, installing BrickMesh saves on time and cost for both the professional and DIY installer alike. 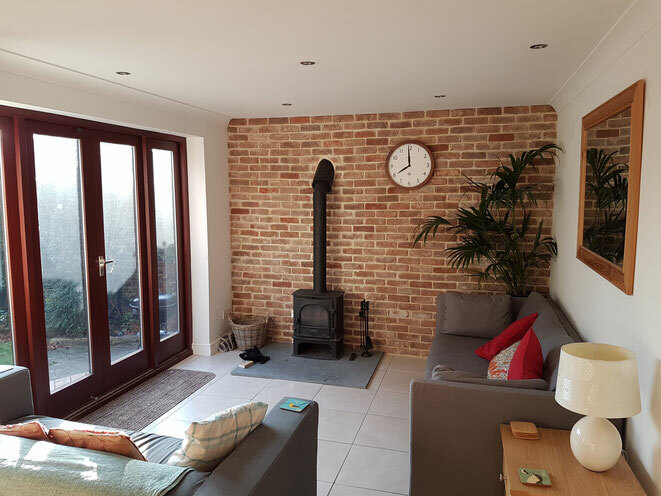 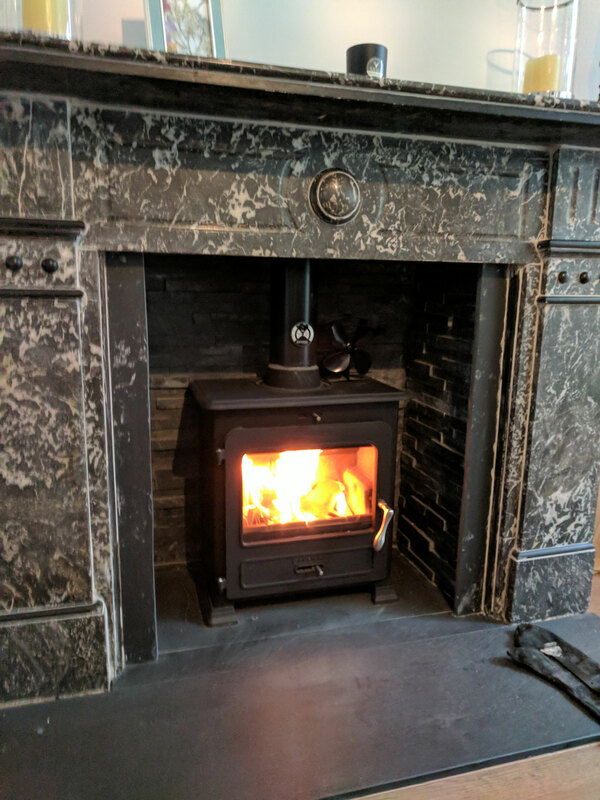 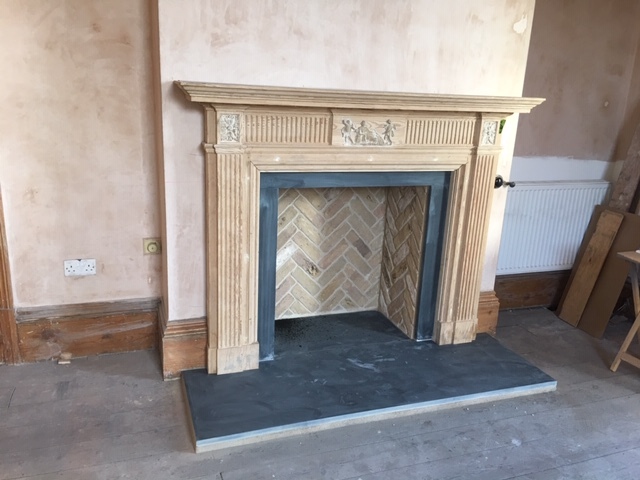 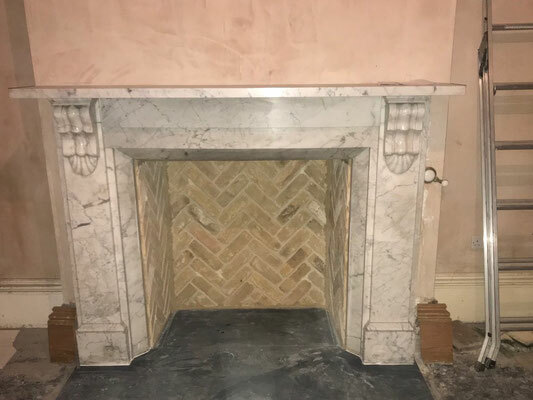 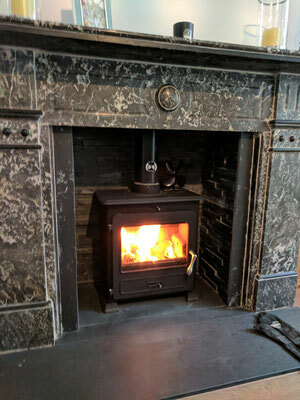 Offering dealers, installers and home owners the perfect backdrop for a wood burning stove, our pre-fabricated brick fireplace chamber lining panels are beautiful in appearance, quick and cost effective to install. 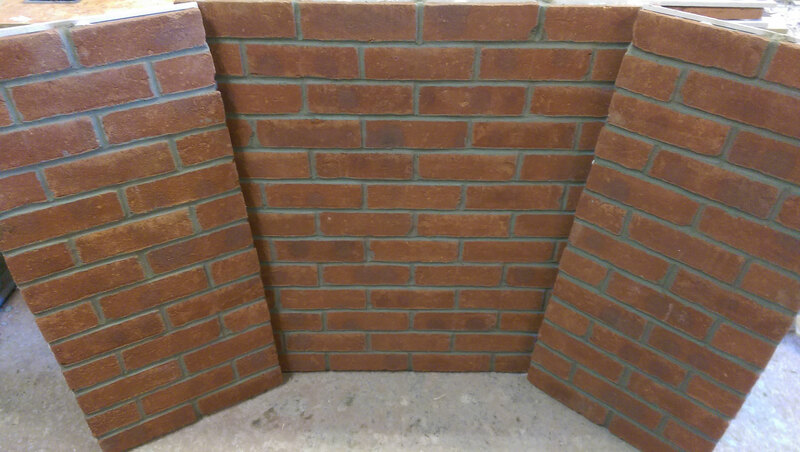 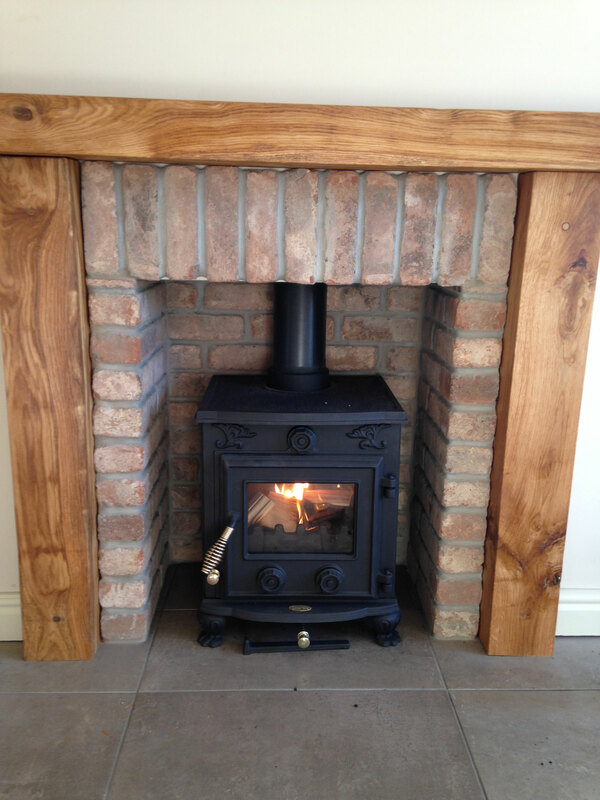 The simplest way to install brick slips for your Inglenook fireplace, enabling same day installation as your stove. Eco friendly brick clad bat boxes. 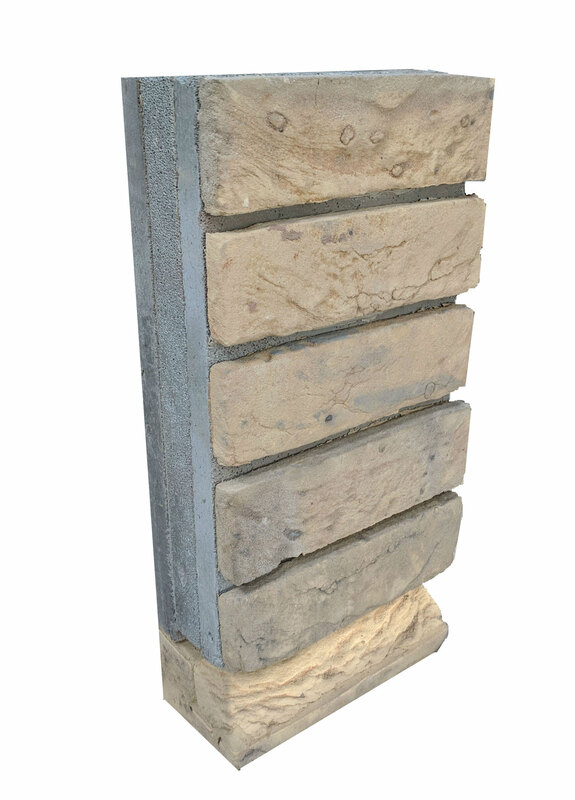 Produced in a rough aggregate block, incorporating chambers providing suitable artificial accommodation for a variety of bat species. For use within new build or refurbishment developments.